By now, I’m sure you’ve heard about the murders of the pastor and eight parishioners at historic Emanuel African Methodist Episcopal Church in Charleston. The assailant – who’s still on the loose as of this writing – appears to be a young white man. But while this tragedy is senseless, history tells us that survivors and even those beyond Charleston will use this to begin or continue to propel meaningful dialogue and action. Any student of history should not be surprised that this young man targeted a black church in his attempt to demobilize its people. Attacks against the black church have long been a strategy by terrorists. During slavery, the black church caused ire among slaveholders who were afraid that collective black thought would lead to insurrection. This fear led to limitations of the religious freedom of blacks, slave and free, in the South. In fact, Emanuel was destroyed by fire a few years after its founding in 1816. This event did not destroy the congregants who eventually rebuilt. The church became a stalwart symbol of Charleston’s civil rights struggle of the 20th century. 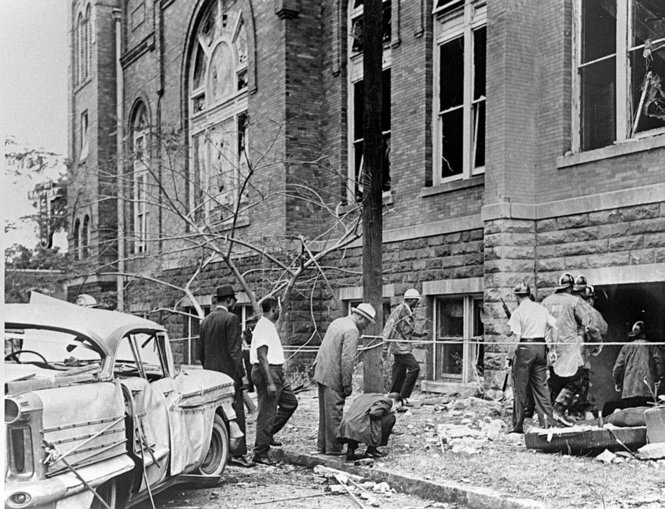 During Birmingham’s civil rights movement, terrorists here also attacked the black church. 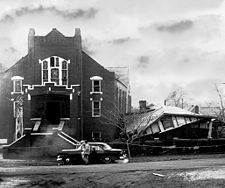 On Christmas night in 1956, civil rights leader Fred Shuttlesworth emerged from a parsonage left hobbled by six sticks of dynamite. Shuttlesworth was the pastor of the Bethel Baptist Church in the black working-class neighborhood of Collegeville in Birmingham. In later years, Shuttlesworth pointed to that event as validation that God would protect him as he led Birmingham’s civil rights movement. “…God took fear from me. He prepares you, I guess for what you have to do for Him,” Shuttlesworth said in later years. Shuttlesworth was not the only one galvanized that night. Those who gathered that night were revitalized as well as black people throughout the city. Bethel Baptist Church and parsonage following the ’56 Christmas bombing. The day after the bombing, 250 black residents rode local buses to test the new federal decree that outlawed segregated public transportation (but local laws still upheld segregation). Throughout the ’50s and early ’60s, Shuttlesworth was instrumental in calling attention to the plight of folks living under the weight of Jim Crow. The church would be bombed twice more – once in 1958 and again in 1962. Neither of those occurrences resulted in casualties, either. Fire personnel and onlookers view the damage at 16th Street Baptist Church. Unfortunately, the same thing can not be said of the bombing of Birmingham’s 16th Street Baptist Church in 1963 where four young black girls were murdered. That horrific event helped to wake up ambivalent white Americans to the plight of Southern blacks. And black people in Birmingham and beyond were more determined than ever to fight. If history has any say, years later we will view this tragedy as a turning point, too.